Three crews, three medals! TCOCC had a great showing at Rooster Rock this weekend. The day started cool and overcast for the short course. 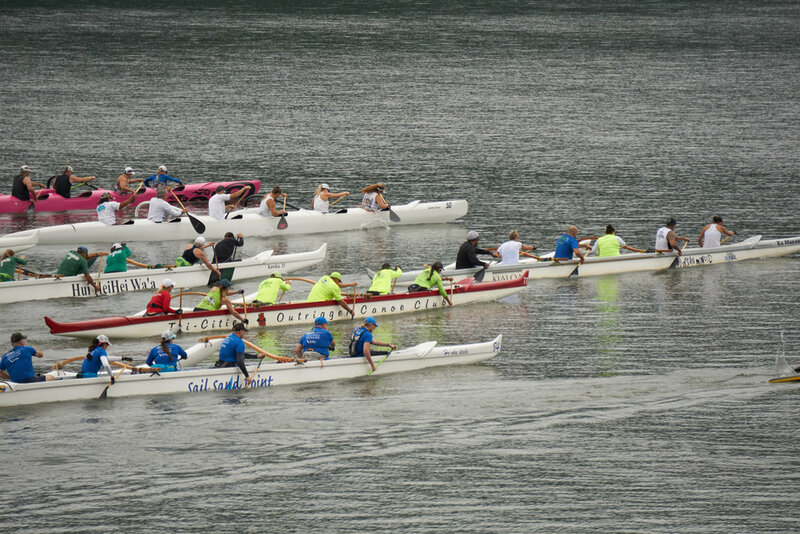 Our mixed open crew put down a strong start, and mixed it it up with the unlimited canoes through the first turn downriver. 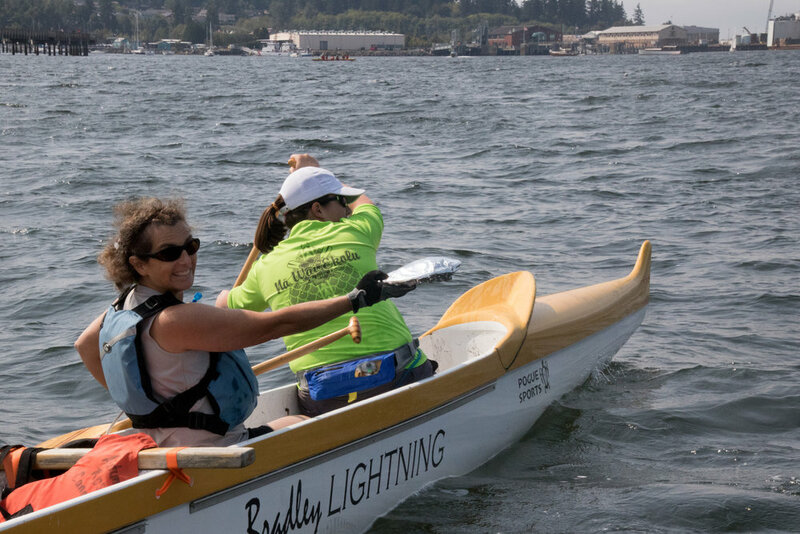 After that it was a battle with Hood River Outrigger to get through the final turn and through the finish line for a first place finish. 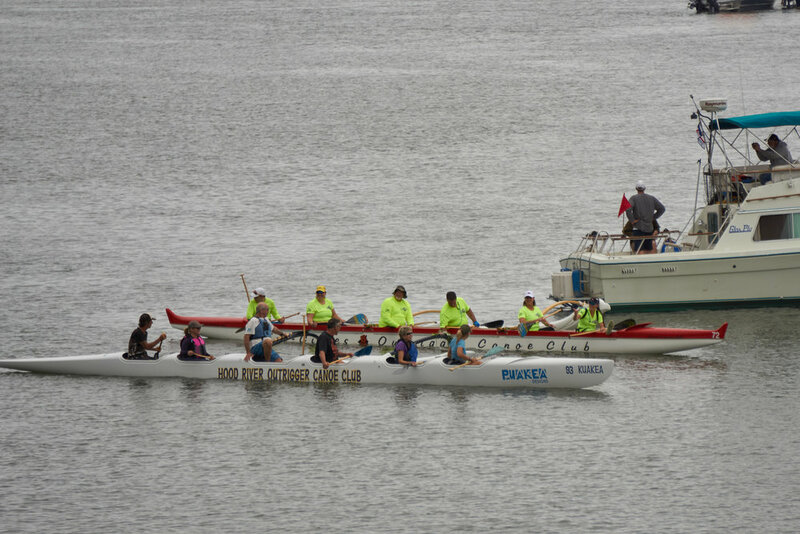 For the mixed race we had both masters and open crew out on the course. The temps warmed up and the sun came out making for a sticky 10 mile run up and around the rock. 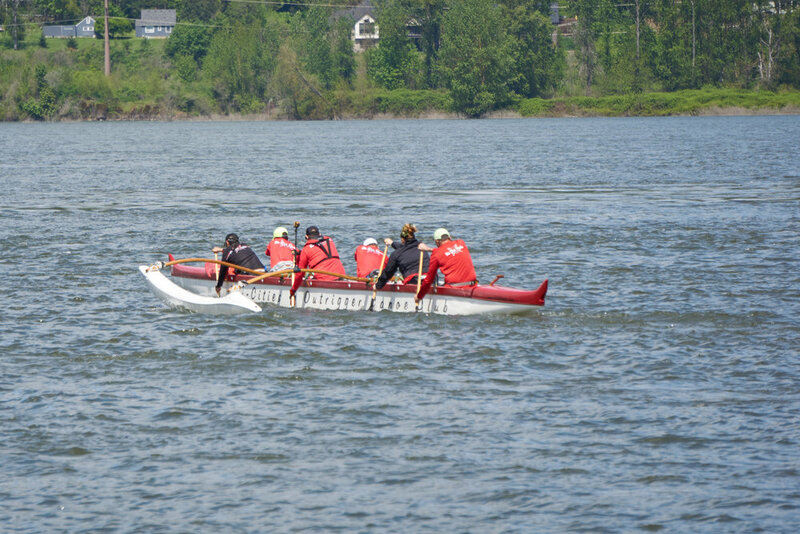 Both crews were out near the front of the pack and our mixed masters came across the line second overall with a first place in their division. 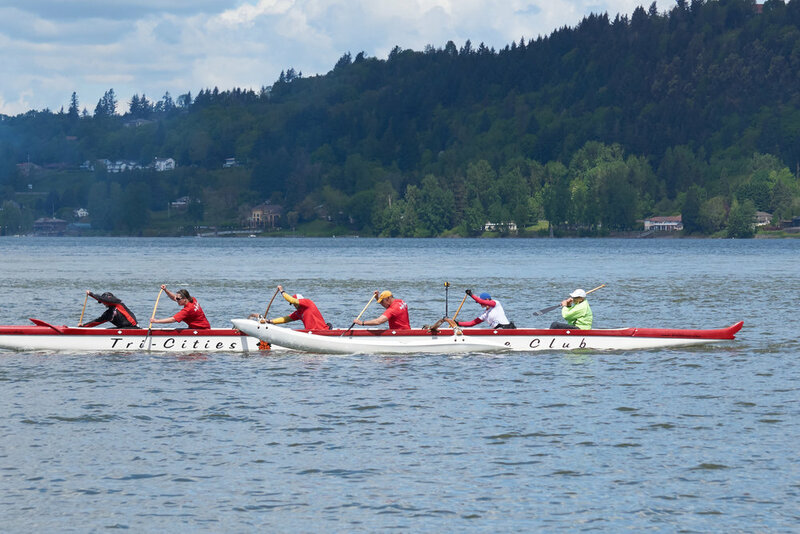 Our mixed open crew also had a strong third place showing in a crowded division of 9 crews. Overall it was a great day for TCOCC. 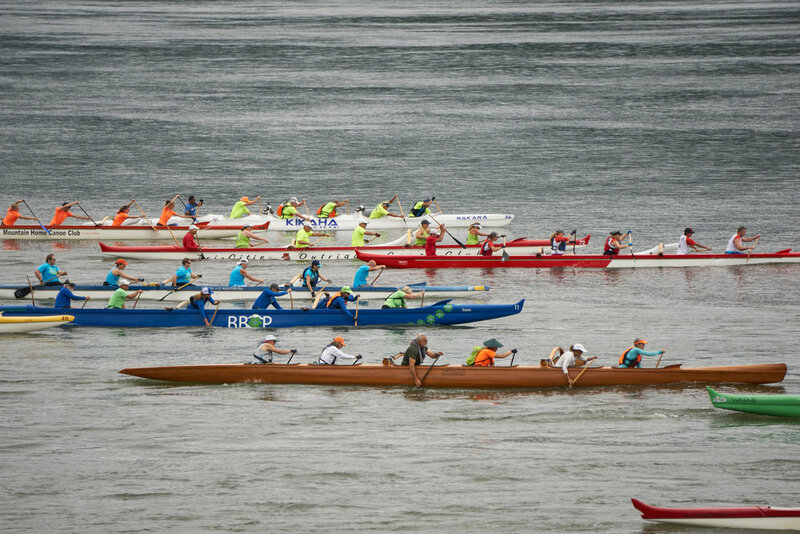 Having 18 paddlers representing the club at a race is a big accomplishment for us and a great sign for the future. Bringing home some hardware is icing on the cake. See the gallery below for some pictures of the day. The last race is in the books and it was a great one! 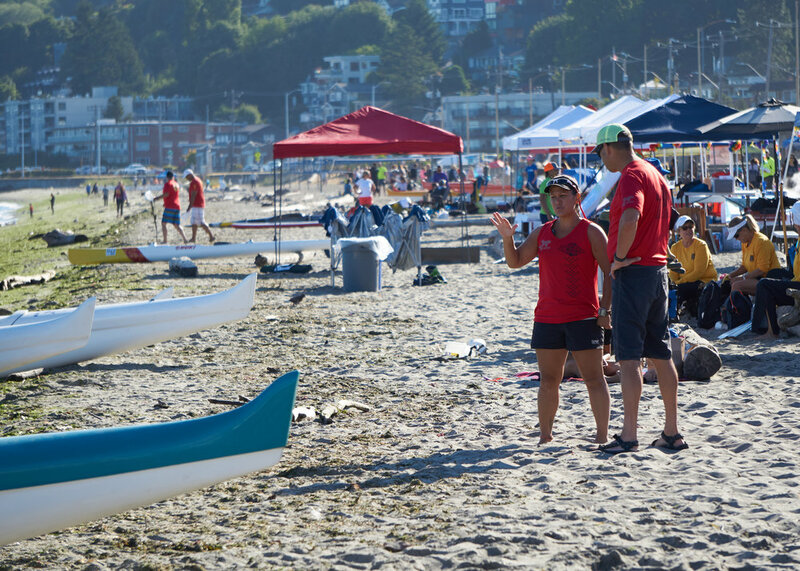 TCOCC participated in the beach change-out at the Pacific Northwest Challenge this past weekend and took home 2nd place. 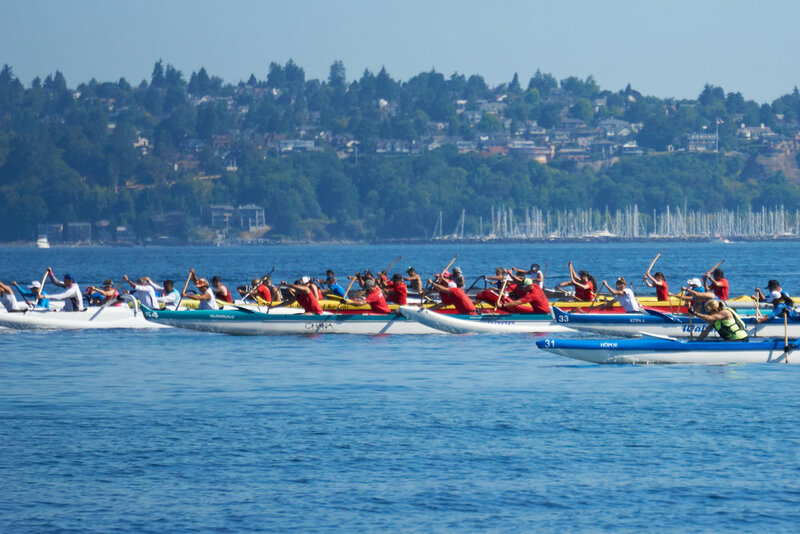 The course consisted of four, 5 mile laps across Lake Washington. 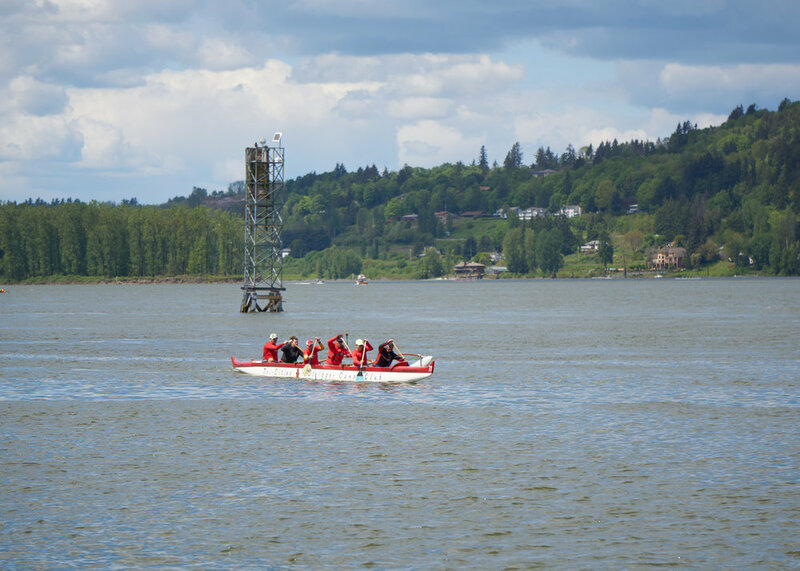 We got out to a strong start and it quickly became a two canoe race. Through the second change we remained within contact with first, but just couldn't get even. 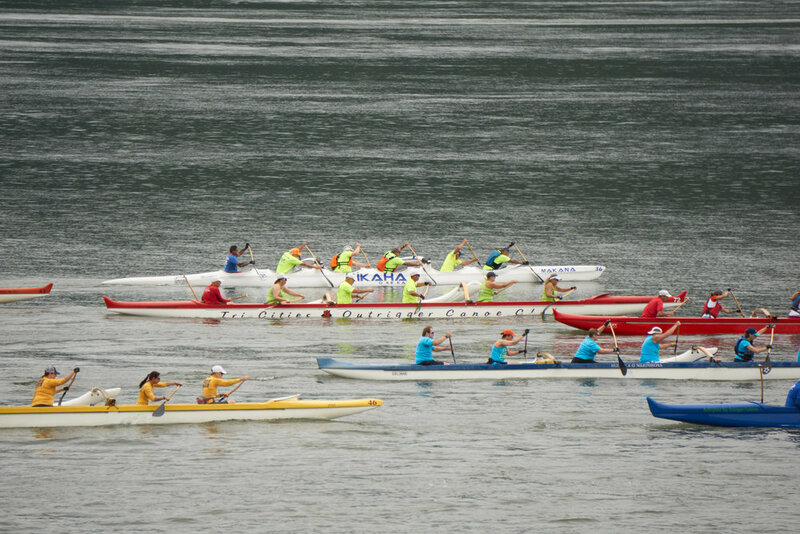 Regardless second place is a great finish and it was great day on the water and fun way to end the season. 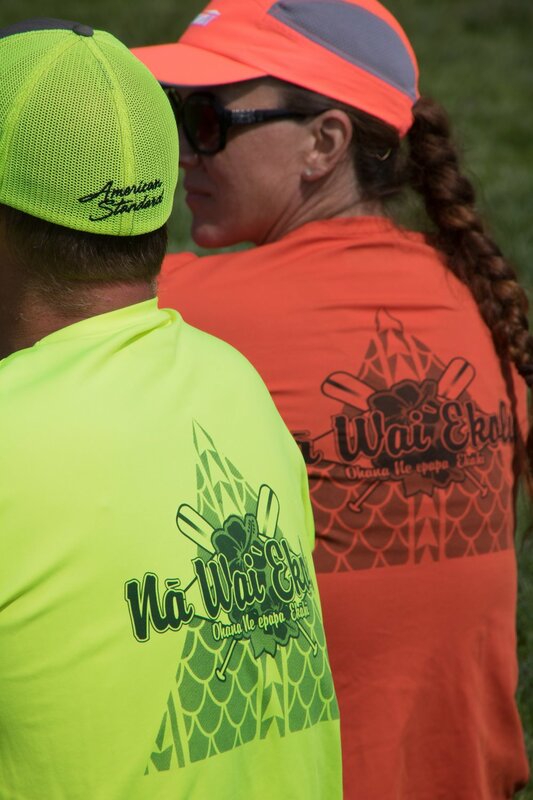 Mahalo to Kikaha and Sand Point for putting on a great event and to Anne and Luz for joining us to fill out our crew. 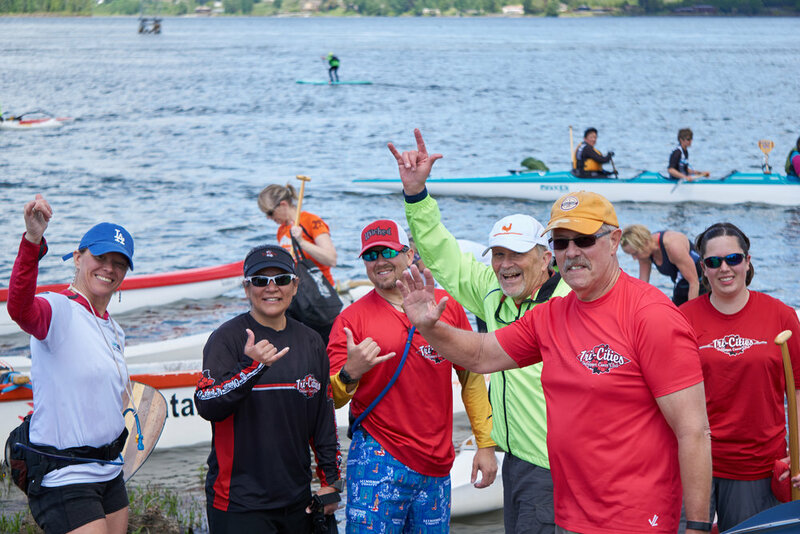 We'd also like to congratulate our other TCOCC paddlers who participated in the 26 mile water change-out in preparation for some upcoming Hawaii races. 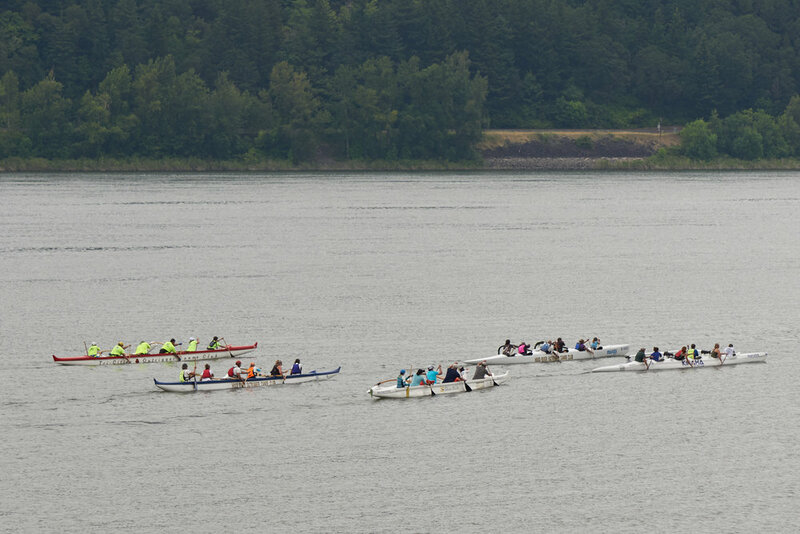 Congratulations to all of our members that participated in the Bellingham race last weekend! 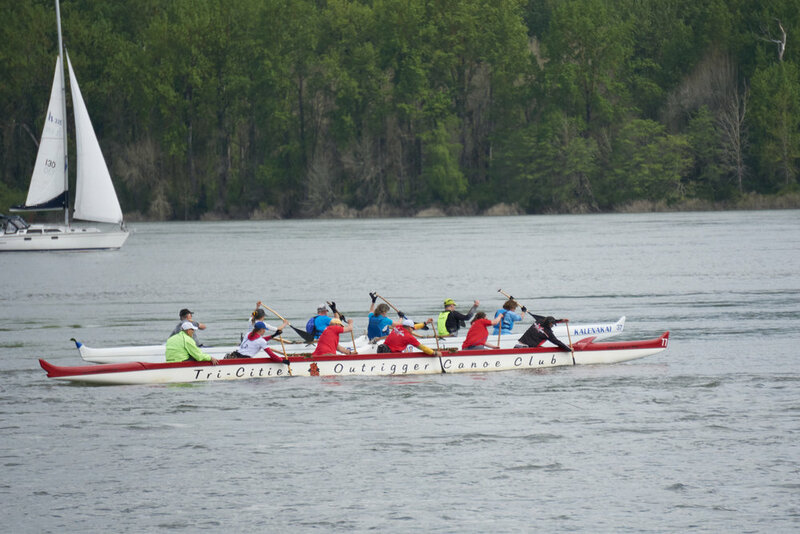 Conditions were challenging and the competition was stifflast Saturday. 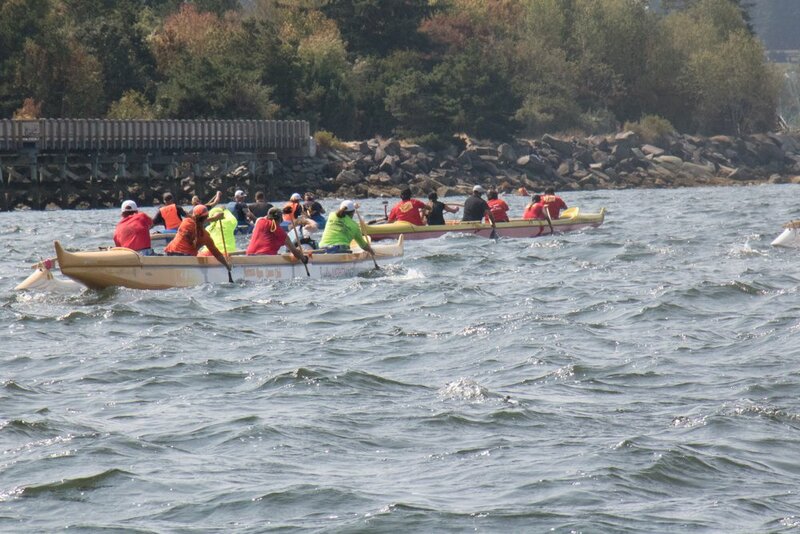 We did not get the best position in the start line but quickly established a 3 canoe pack with a BBOP crew and CROCC crew that included Rich. 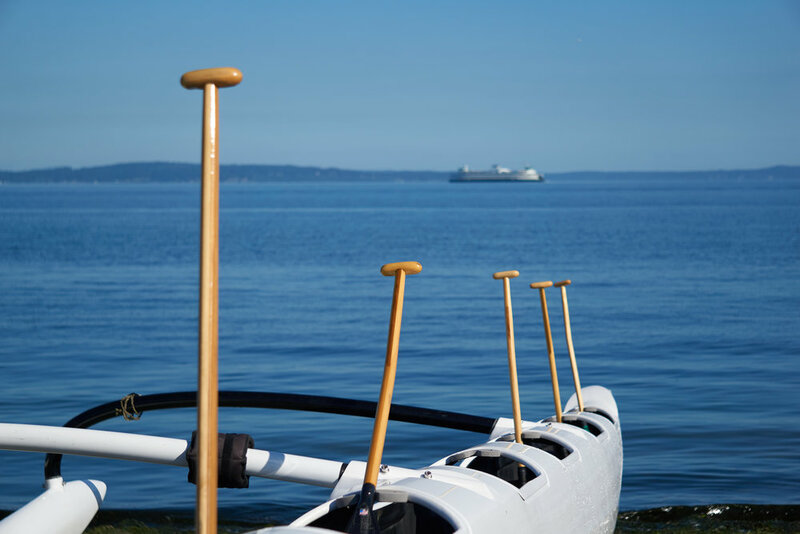 The course change necessitated three 180 degree buoy turns. Those turns made the critical moments for our race. 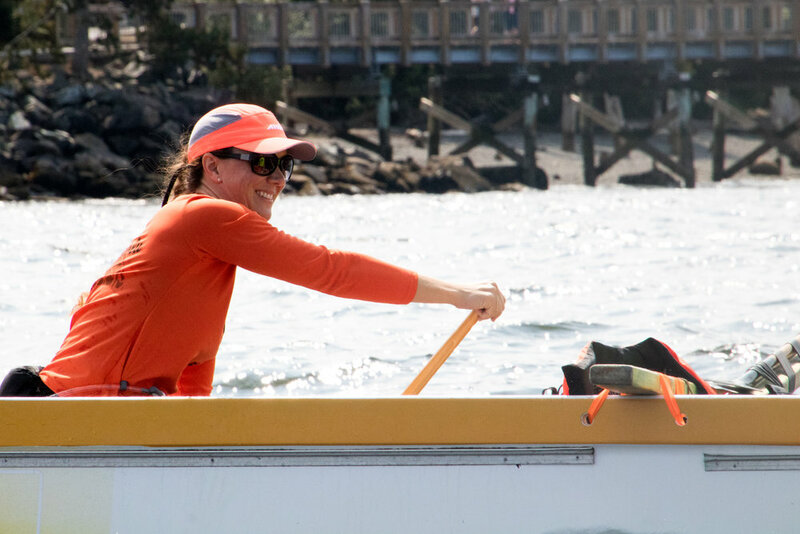 We capitalized on a mistake in the second turn and flew by BBOP to establish a lead that we would hold until the end of the race for a strong 4th place out of 7 in the mixed open division. I'm a little late on the wrap up here but I wasn't able to take as many pictures as usual. The photo credits go to the BBOP photographer on these. Go check out their Facebook page for more. 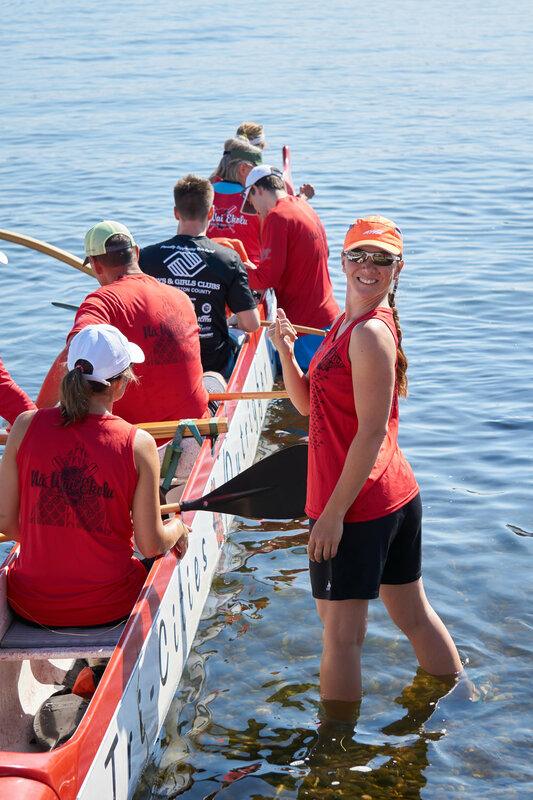 We also want to thank CROCC for helping us fill and find seats for our crew and to Autumn Rose for Loaning us the Canoes we raced in. 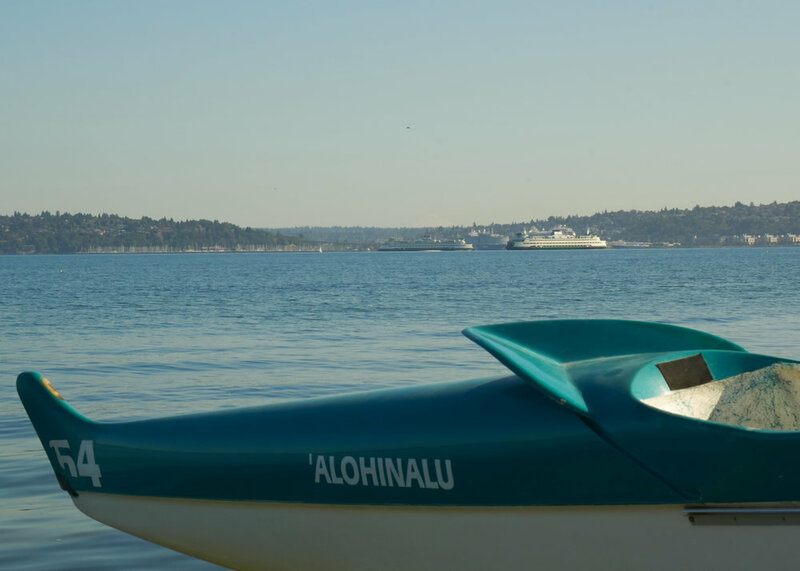 It was a great day of racing at Alki Beach on Saturday. We had 12 members participating in 4 different crews. 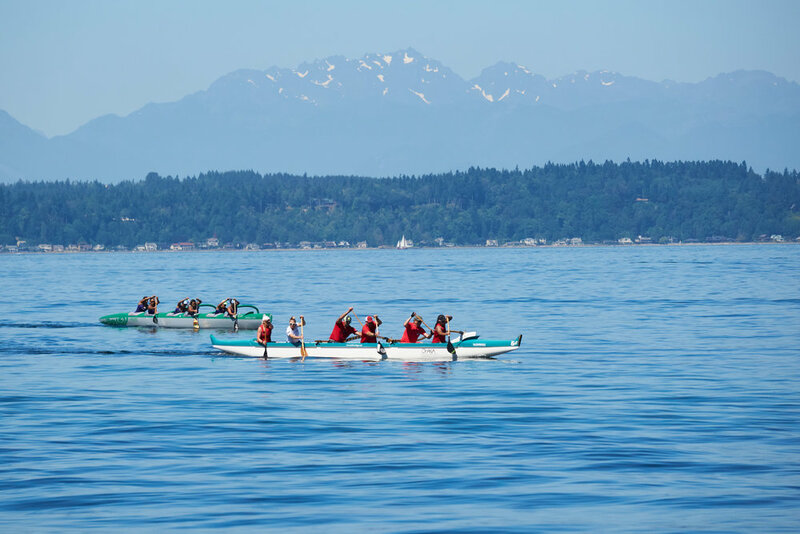 The course was a beautiful 12 mile paddle across the Puget Sound. Weather stayed calm and warm, making for a real test of endurance and grit throughout the race. 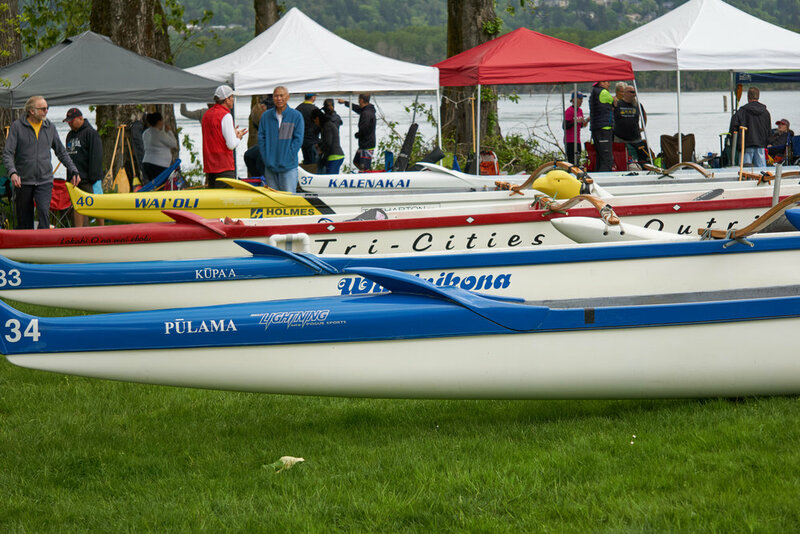 The Tri-Cities Mixed Masters pulled out the most impressive performance of the day, finishing first of all the spec canoes in their heat! Which, of course, gave them a 1st place in their division as well. 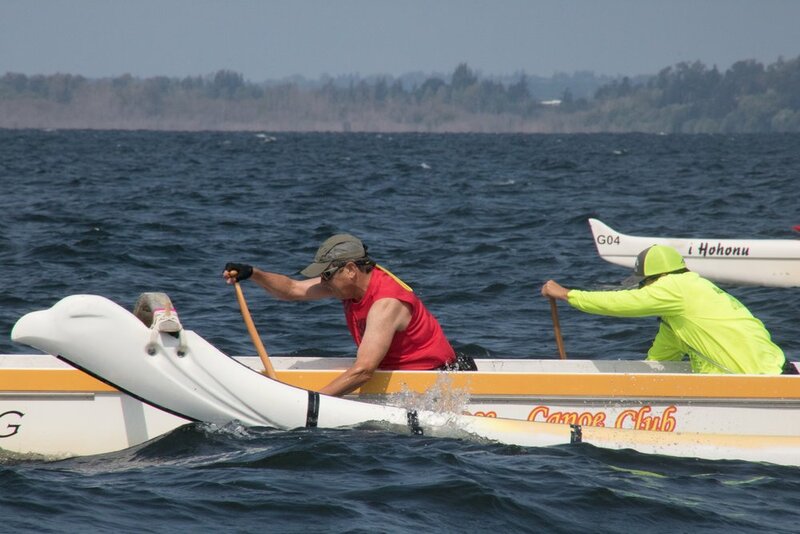 To fill out some other crews we had paddlers in with SOCC and Pacific Outrigger as well as 3 men in a hybrid crew organized by Maui Mike. 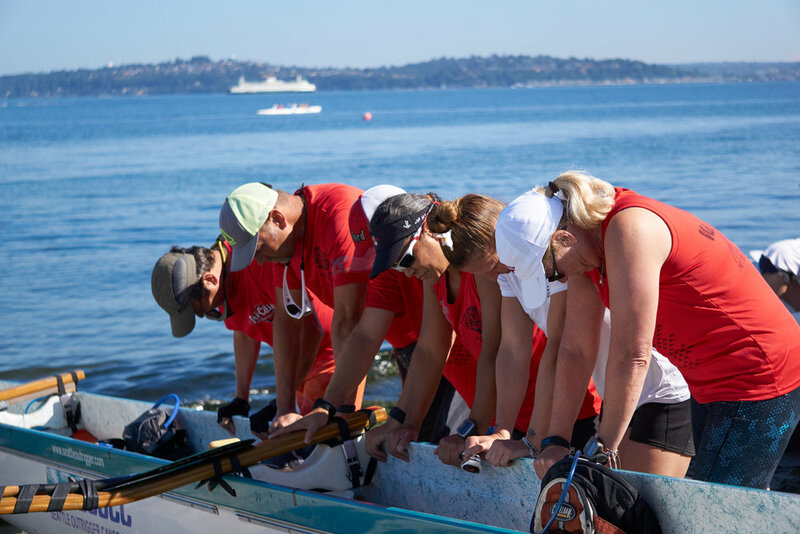 Thank you to everyone who came and participated and to Seattle Outrigger Canoe Club for hosting the event. 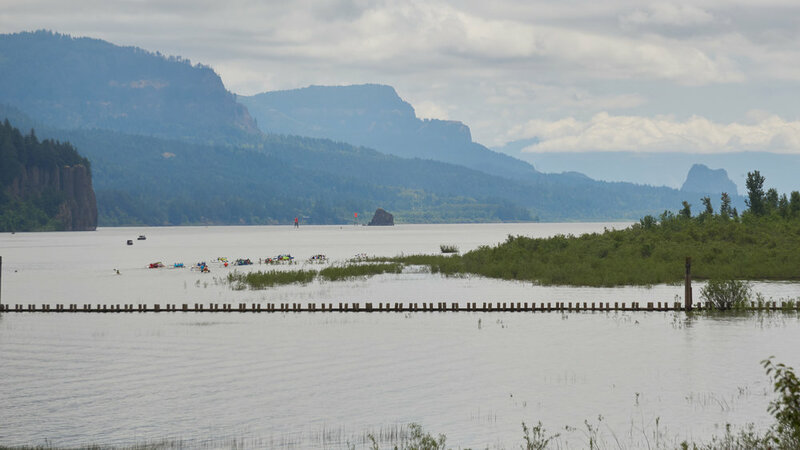 Now we look ahead to Bellingham in two weeks and our last race, the Pacific Northwest Challenge the week after.